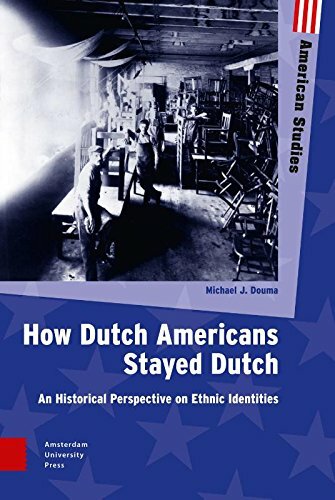 I remember Gerlof Homan as a standby at Dutch American history conferences. I probably met him for the first time in Holland, Michigan in 2004, or in Sioux Center, Iowa, in 2006. I remember some of his presentations, especially his narrative style and his concern for individuals in history. He was the founder of “Peace Studies”, a scholar of the Anabaptists, and an immigrant from the Netherlands. He knew what it was like to be an outsider. From my impression, he was naturally disposed towards kindness. But I knew Gerlof for about a decade before we had any substantial conversation. In 2015, when I was living in Arlington, Virginia, I received an email from him. As I recall, he had read one of my articles and had a question for me. I responded. Then he wrote back. For the year to follow, we became regular pen-pals. We didn’t write every week, or even every month, but the conversation was pretty regular for about a year. We talked about the Dutch, we talked about American history, we even talked about our personal lives and our day to day struggles. Then, one day, Gerlof wrote to tell me that he had cancer. He wasn’t going to make it, he said. I was pretty torn up about it. A few years before then, in 2011-2013, I was teaching in Springfield, Illinois at the state university there. By American standards, this was just down the road (75 miles) from Normal, Illinois, where Gerlof had taught at Illinois State, and where he was still living. But we didn’t really know each other back then. I told Gerlof that I was going to be going back to Springfield for two days to give a guest lecture. He invited me to come visit him and his wife in Normal. So I accepted. In the spring of 2016, I flew into Springfield a few days early, rented a car, and drove up to the Homan residence. I think I only stayed one night in a bedroom in the basement, next to a large stack of books. Gerlof explained that many of the books had been set aside for one of his children, but I was free to take whatever else I wanted. It was a collection that reflected an American historian active in an earlier generation. While there were some new books, there were mostly classics from the 1960s through the 1980s. In the end, I probably took about 30 books, put then in a box, and loaded them in my car the next morning, before shipping them out from some rural post office. All that afternoon and evening of my arrival, I sat with Gerlof and his wife in their front room. Mostly we talked about history and, of course, the Netherlands. As we talked, neighbors would come by, or friends from church would knock on the door to say hello. Nothing seemed out of the ordinary, except it all seemed old-fashioned to me. I’ve lived too long in university housing, in cheap apartments, in places where neighbors move in and out faster than you can get to know them. The Homans, however, seemed to know a lot of people in town, and a lot of people knew them. Gerlof blamed his lung cancer on the asbestos that the university had used in the building which housed the history department. He had spent too long in that building, breathing in those dangerous particles. If he was correct in this, then it was in this ironic way that his work led to his death. Sensing an opportunity, I asked Gerlof if I could interview him, or at least write down some notes about his life. He assented. Gerlof earned his M.A. and Ph.D. from the University of Kansas. He taught at Central State College in Kansas from 1958 to 1963, and after that for one year at the University of Oklahoma. He was in Pittsburgh, Kasnas from 1964 to 1968. He came to Illinois State in 1968. The job market was different back then, he admitted. “They called you.” It was a wonderful profession, he said, full of freedom and good colleagues. He took two sabbaticals during his working life, both to visit Holland. He also twice led student groups to Grenoble, France. For four years, he was the chairman of his history department. He started “Peace history” while at Illinois State, and developed an academic minor in the subject. He was interested in pacifism in the Mennonite tradition, but he stressed, he was just promoting peace in general. Gerlof always biked to work. He retired in 1994 at 65 years of age and then spent much of his time in volunteer work across the country. I asked Gerlof about his views of history, his philosophy of history, as it were. A historian collects facts, he said, but must also have an imagination. There is a bit of scientific deduction, but history was also an art. History doesn’t rhyme, but it stutters. History does repeat exactly, but it goes in spirals. “Historical perspective is important” he said, “We must look at the present in the context of the past.” Gerlof told me that he had taught historiography courses, and had thought a lot about the philosophy of history. He complained about the Annales school, that there were no human beings in their history. ‘Great men do shape the course of history,” he pronounced. His favorite presidents were George Washington and Franklin Roosevelt (a political genius, he said.) He also like Kennedy and Eisenhower. He liked Lyndon Johnson too, but not his involvement in Vietman. That “Stupid War in Vietnam.” Gerlof supported the Civil Rights Movement and Johnson’s Great Society. Gerlof had studied for a semester at the University of Groningen, when he brother, who was studying in the United States, wrote him to tell him to come over, so he did. His image of North America was shaped by his positive experiences with the Canadian soldiers during the war. The Canadians had given out chocolates, and they wanted eggs in return. In the United States, Gerlof first studied at Bethel College, then earned a scholarship to the University of Kansas, he saw Wilt Chamberlain play basketball. 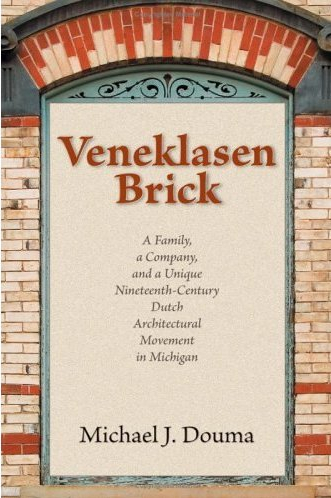 The pages relate that Gerlof was born and raised in Appingedam, an old city northeast of Groningen. There, his parents at a dairy factory. They bought milk from local farmers and made butter, cheese, and cream, among other things. The German occupiers closed the factory in 1943. The Germans took over his school building as well, so the students moved over to study in the Christian School. The Germans then took over that building, and the students moved into an old factory nearby. The pages relate stories of allied bombers overhead and German soldiers on the ground, students who sympathized with the Nazi’s (NSB’ers) and locals who were arrested and sent to German concentration camps. Even after liberation, the town continued to be hit by German artillery. The city was badly damaged, and 32 civilians had died, along with eleven Canadians and seventeen German soldiers. That experience alone might be sufficient to make a person lean towards pacificism and kindness. After my visit to the Homan’s, Gerlof and I never emailed each other again. I think in that short year we had become pretty good friends, we had met up and had some good conversation. Perhaps neither he nor I wanted to ruin that. Gerlof died November 17, 2017, some six months after my visit. I learned about his death when searching for his obituary the next summer.